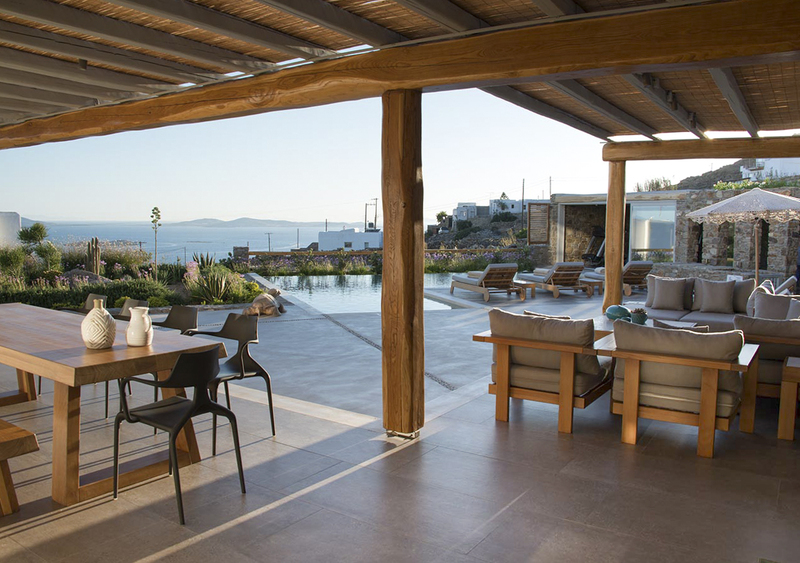 Villa Tessera is an extensive five-bedroom villa on the beautiful Greek island of Mykonos. 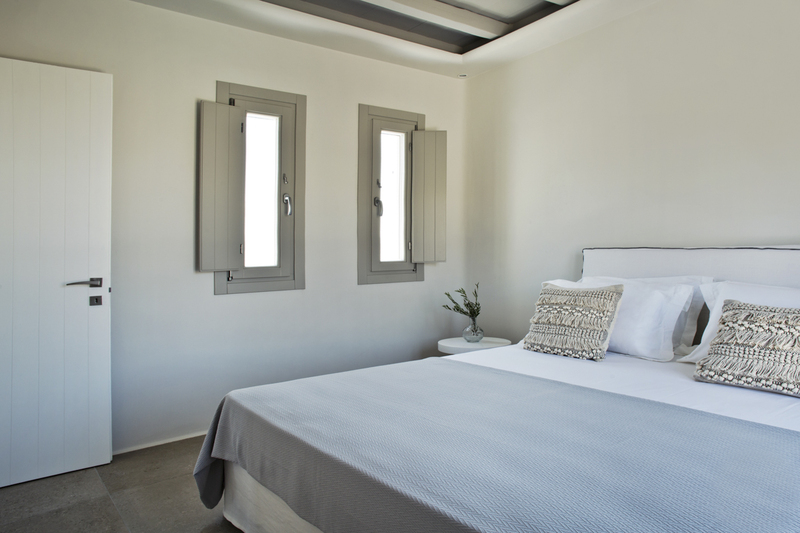 The villa is set in a serene spot in Agia Sofia and looks out towards the coast, boasting unrivalled views of the coast and Aegean Sea. 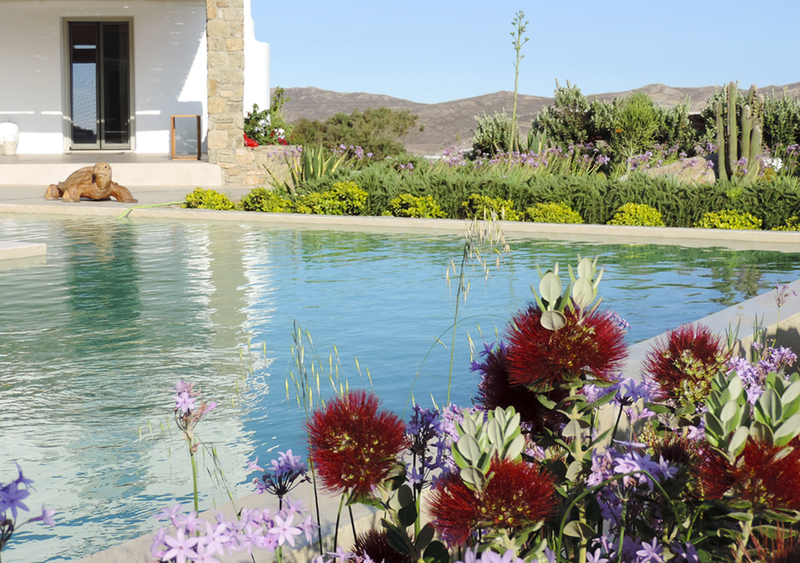 The main standout feature is the impressive pool area, but we must give honourable mentions to the modern rooms and the classic Mediterranean-styled exterior too. 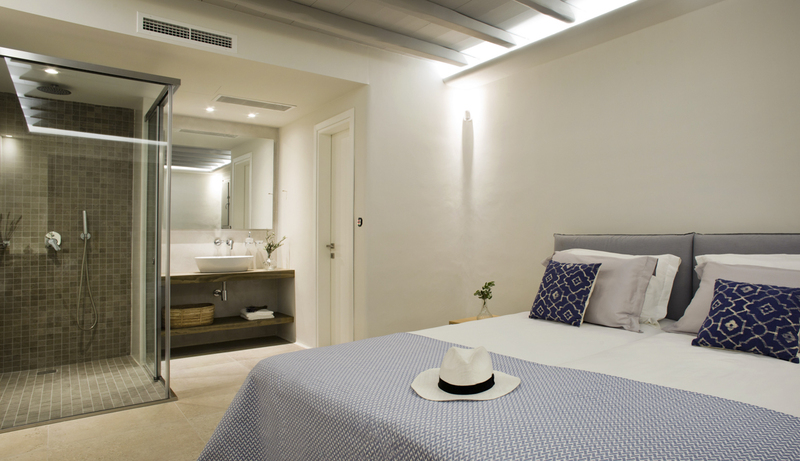 Staying at Villa Tessera is an Oscar-winning experience for those who want the absolute best. 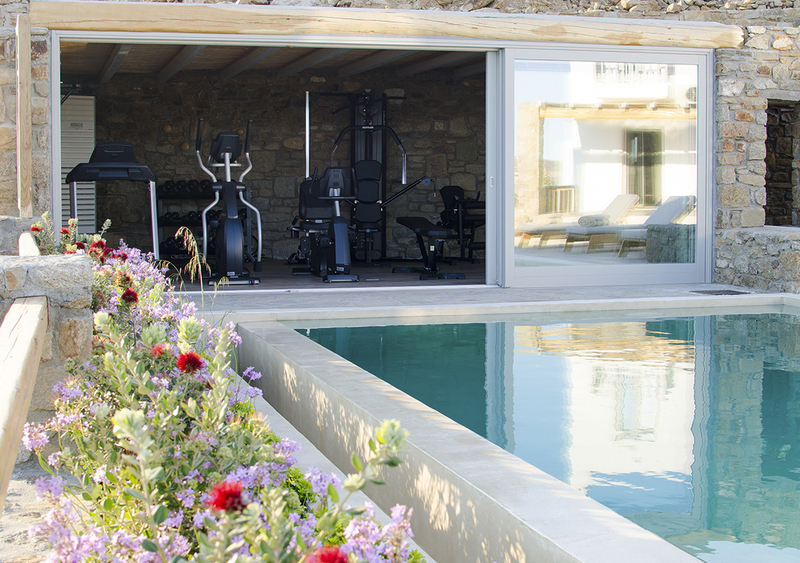 You're greeted with an elegant building which is designed for your utmost privacy, surrounded by rustic stone walls and a green garden dotted with local flora. 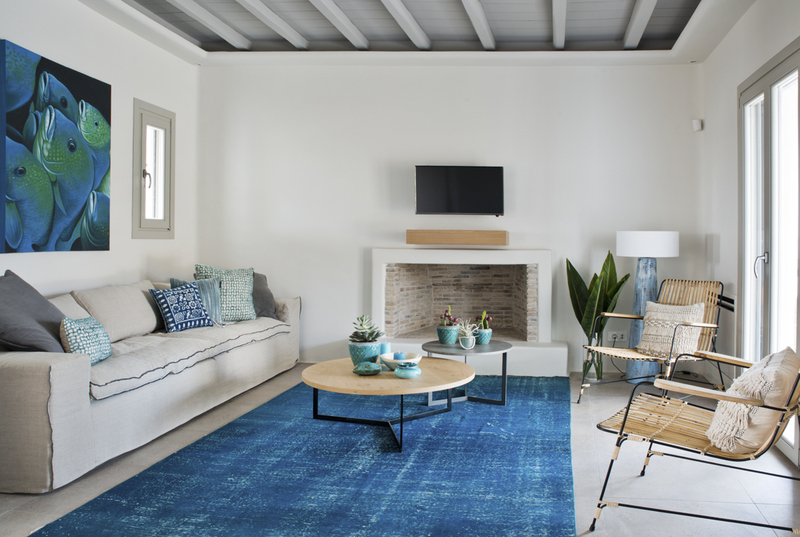 The villa is perfect for families and friends, sleeping up to nine, and there’s plenty of parking space available should you wish to hire a car. 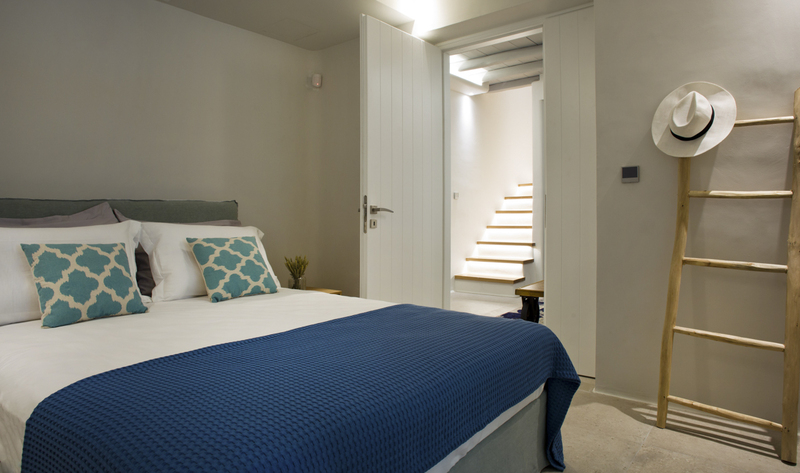 Set across two spacious floors, there are three inviting double bedrooms with en-suite bathrooms, alongside a playroom and a single bedroom on the ground floor. There’s also a welcoming living area with a fireplace, a fully-equipped kitchen and a toilet on the entrance level and a master double bedroom with a bathroom and cloakroom on the top floor. 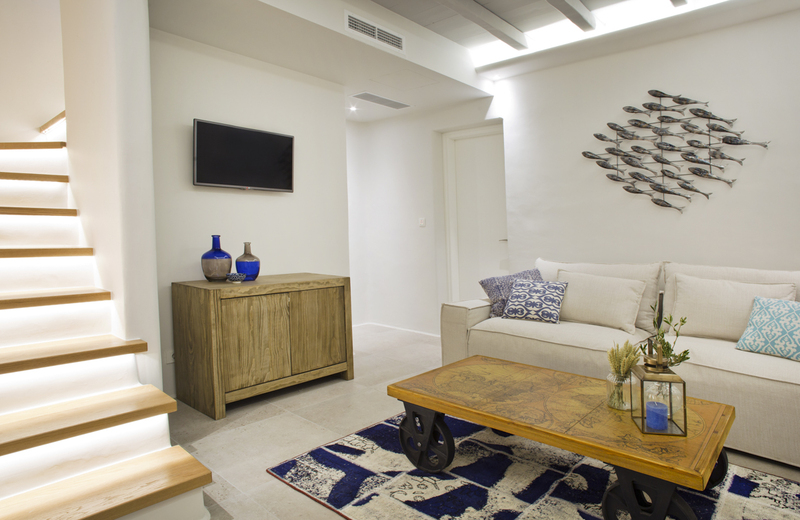 Extra ‘luxe’ features include a TV and DVD player in every room, Wi-Fi throughout the villa and an iPad to use. Plus, a PlayStation and games for the children. 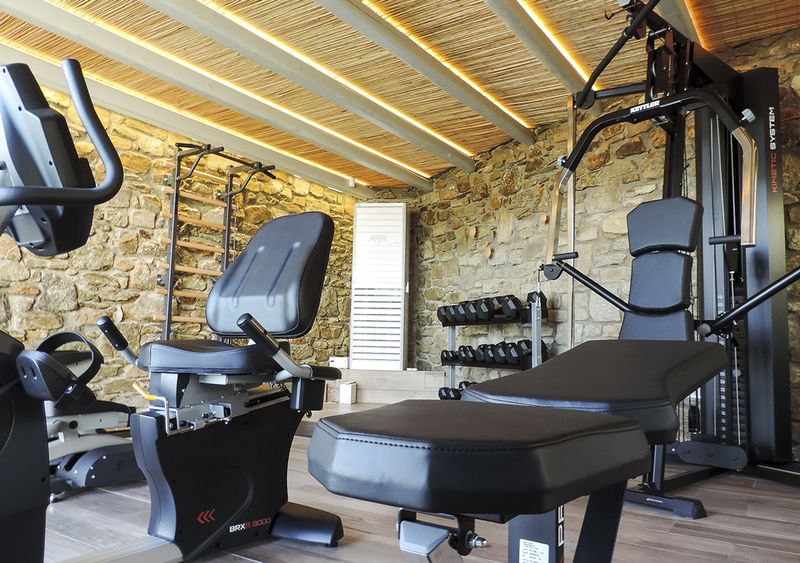 Oh, and did we mention there’s a state-of-the-art private gym too? 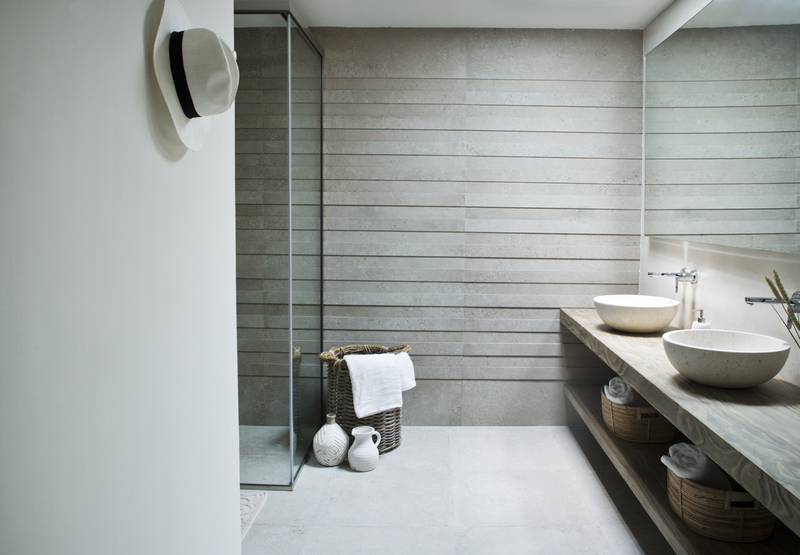 The décor is contemporary with natural materials such as stone and wood and cream-coloured furnishings, to ensure light abundance. Outside, there’s a large private infinity pool for taking a cooling dip. 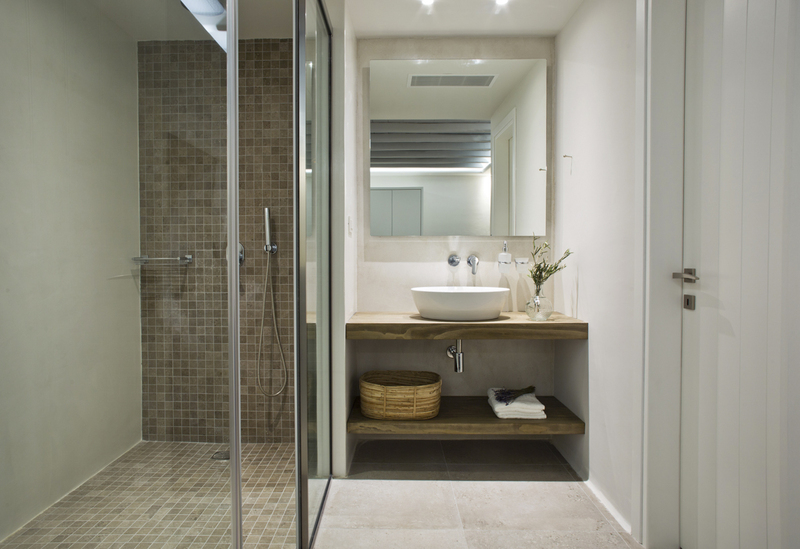 Outdoor amenities also include a BBQ, pool bar and shower. 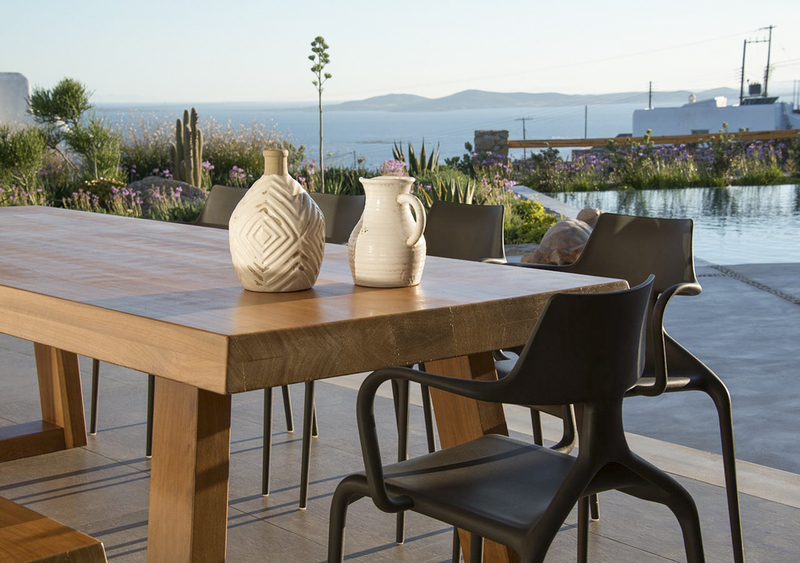 There are plenty of places for you sit and relax in the sun or the shade and there’s an outdoor eating space for dining al fresco while enjoying the fabulous vistas. 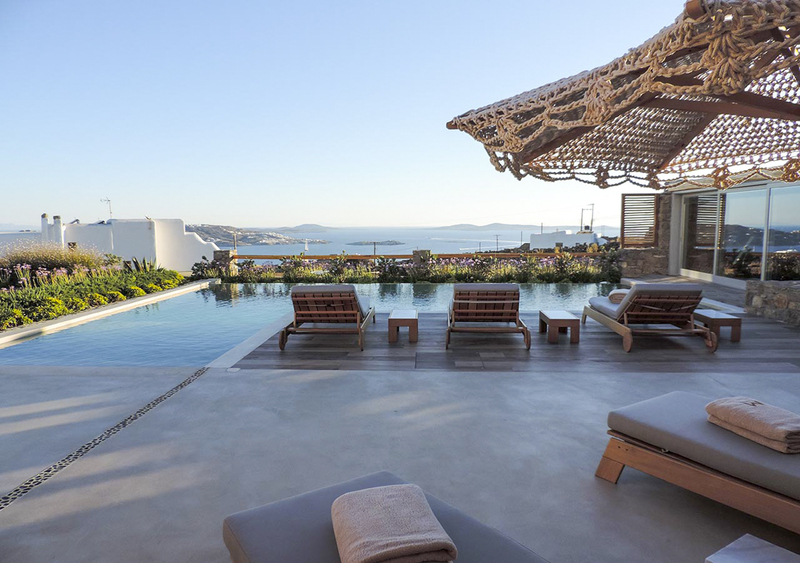 If you can bring yourself to leave the luxurious comfort of this villa, you’re about a 10-minute drive to Mykonos Town. There you’ll find pristine sandy beaches, alongside restaurants, shops and cafés. 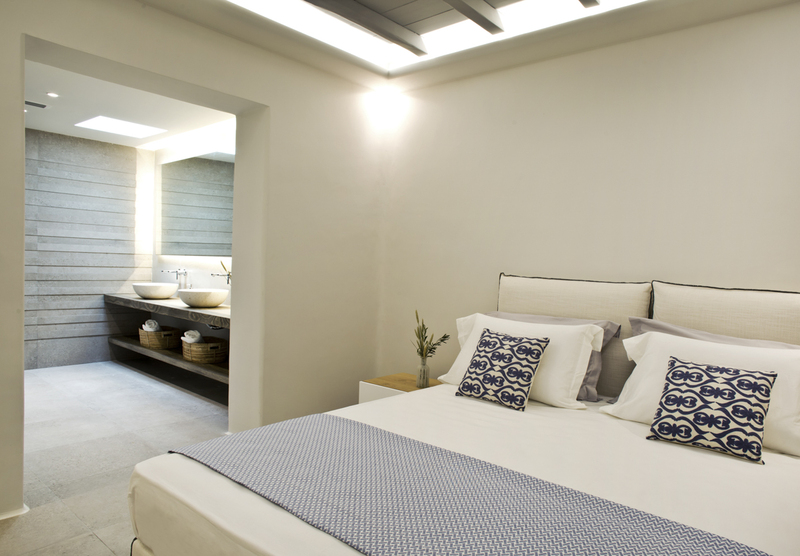 Villa Tessera is located in peaceful Agia Sofia village on the picturesque Greek island of Mykonos. 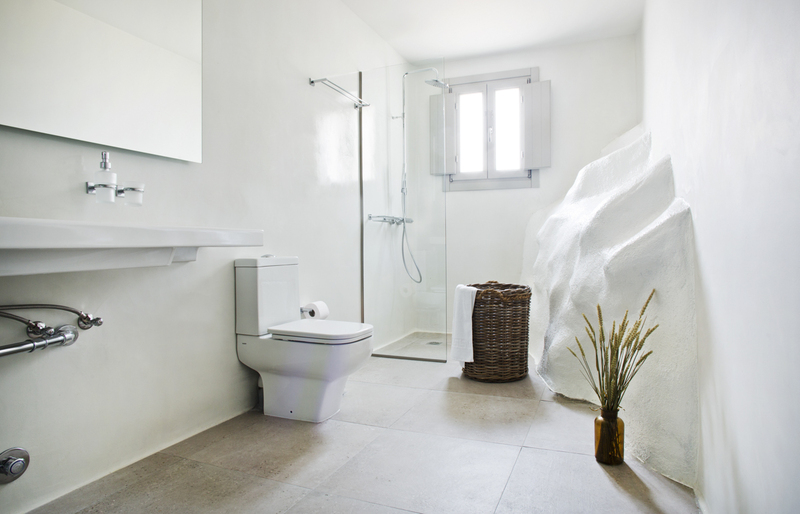 The main advantage is that you spend quiet moments when you need to in the comfort of your private and secluded villa, yet you still have easy access to Mykonos Town (about 3.5km away). There you’ll find plenty of things to see and do including cultural sites, shops and restaurants. Mykonos is one of the most popular islands in Greece, due to its welcoming and cosmopolitan atmosphere, pristine sandy beaches and traditional whitewashed buildings. You can explore Little Venice – quaint buildings right on the water’s edge – vibrant Matoyianni Street with boutique and Instagram-worthy shops – and take some photos of the iconic windmills in Mykonos Town. For a cultural visit, there’s the Aegean Maritime Museum and the historic church of Paraportiani. In Mykonos Town, you can stroll along the narrow streets and browse the beautiful buildings and shops. When you’re peckish or thirsty, you’ll find plenty of restaurants and fantastic sunset bars for drinks. Look out for traditional Greek Moussaka. 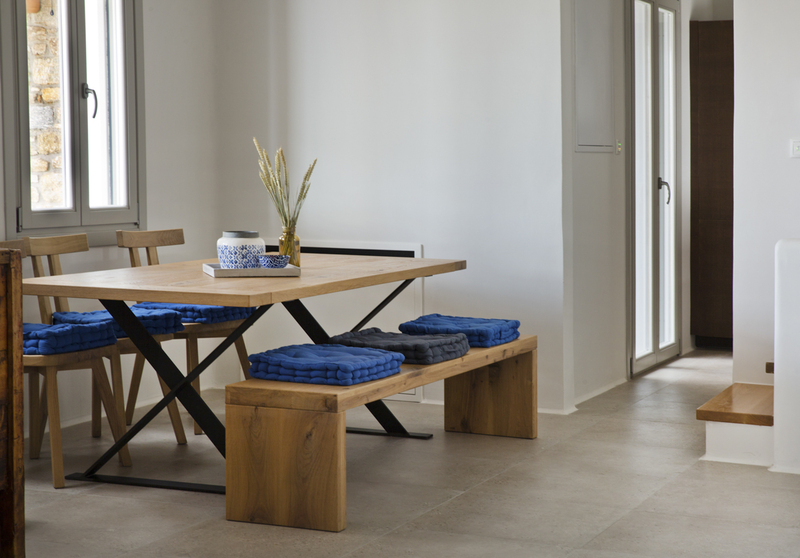 For days spent soaking up the sun or relaxing on the beach instead, the villa is 3.7km from the nearest beach. There are plenty more sandy spots including Platys Gialos Beach, 5km southeast of Mykonos Town. 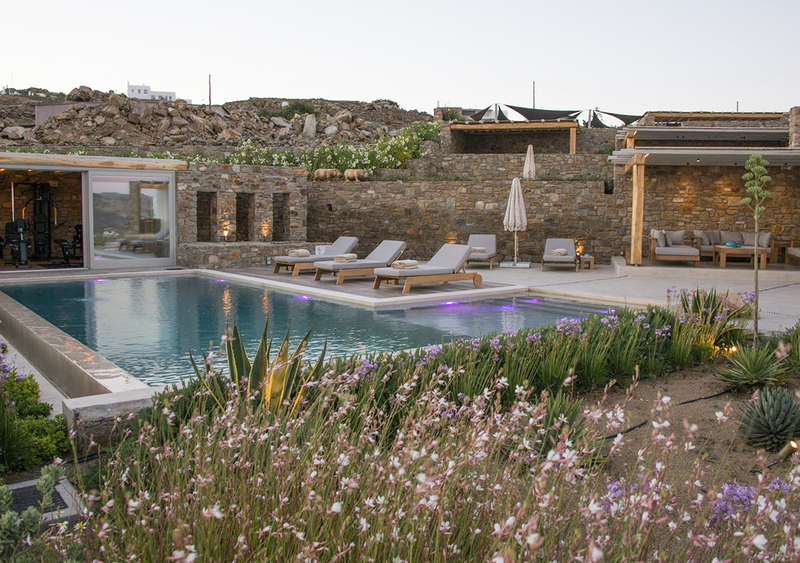 Mykonos is the jumping-off point for island exploring and the nearby island of Delos is a favourite choice due to its beautiful coastline, clear swimming waters and historical and archaeological site. If you’d like to book the Vill’otel serviced option, contact us on hi@excellenceluxuryvillas.com for a tailor-made quote! Typical costs range between £100-£250 per person per week dependent on requirements.